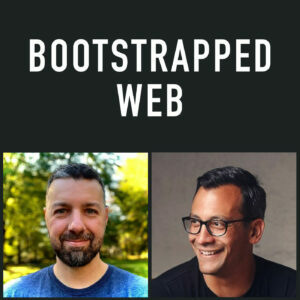 Welcome to Bootstrapped Web, Episode 82. We have been so focused on our businesses and we are excited to give our updates. Also on this episode, we’ll answer a few questions that we’ve received from people asking for our thoughts and advice. Brian has been working hard on AudienceOps and creating systems and getting things nailed down. Things are moving forward on his new WordPress plugin which will handle content upgrades through an email opt-in which will then send users bonus content such as a PDF, or worksheet or template of some sort. It’s in use now for clients and the next step is release for beta users. His landing page will allow you to sign up now for early access if you’d like to be a tester. Brian has also been producing 10 to 12 high quality articles weekly, has the business systems running well and has refocused responsibilities for his team members. Brian will be speaking at the upcoming Microconf Europe which takes place in Barcelona from August 31 to September 1. In mid-September, Brian will in to Norfolk, Virginia to be part of Brennan Dunn’s Double Your Freelancing Conference. Jordan has been equally busy and is happy to announce… his first EPIC blog post! Jordan has also launched a newly designed marketing site, a new podcast which is named The CartHook Show, hired a new customer success team member, and started his first advertising campaign. Somebody submitted CartHook to Product Hunt and that created a sugar high of increased visitors to the site. The surge resulted in a handful of free trials and some conversions. Brian and Jordan then discuss what they believe are the most effective ways for them to communicate with their teams. Then it’s time for guest questions. One question tackled is from somebody who is concerned that consulting with a technical person could result in that person taking their idea if they don’t have a NDA. The second question deals with how much work is too much work before an idea is validated. The final question is how can you deliver content marketing when your customer is a small business person who doesn’t spend much time online. Welcome to Bootstrapped Web, Epsidoe 81. 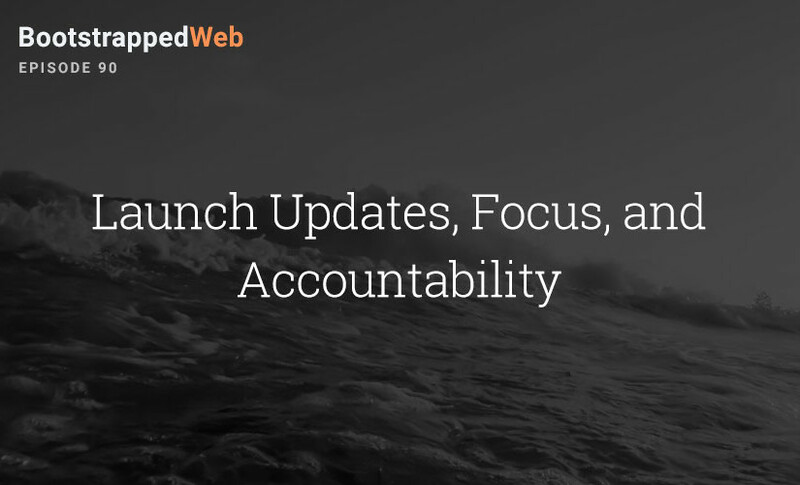 Today we are giving our updates as both of our businesses are growing and we’re scaling them quickly. 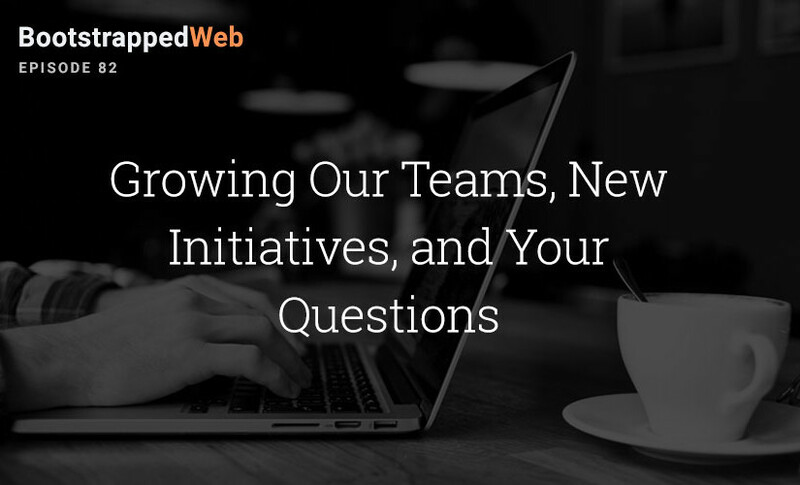 We also answer a listener’s question regarding content marketing and converting website visitors to customers. Brian has been focused on AudienceOps. He talks about the current development of a WordPress plugin, the first of his software tools. It’s a call to action tool that offers a bonus pdf download after receiving a customer’s email address. He will begin to install it on client’s sites and after that will do a release as a stand-alone tool, with a free version and a pro version. Brian is also focusing on plugging holes in any part of his processes, while keeping the quality. He paused all sales and marketing while he could get a handle on things and now he is ready to get back to sales and marketing. Brian will be speaking at the upcoming Microconf Europe held in Barcelona from August 31 to September 1. In mid-September, Brian will head to Norfolk, Virginia to be part of Brennan Dunn’s Double Your Freelancing Conference. Use the coupon code: Brian Casel to get 15 percent off your ticket price. Jordan is busy moving into the next phase of building a team and separating out the different functions and responsibilities. 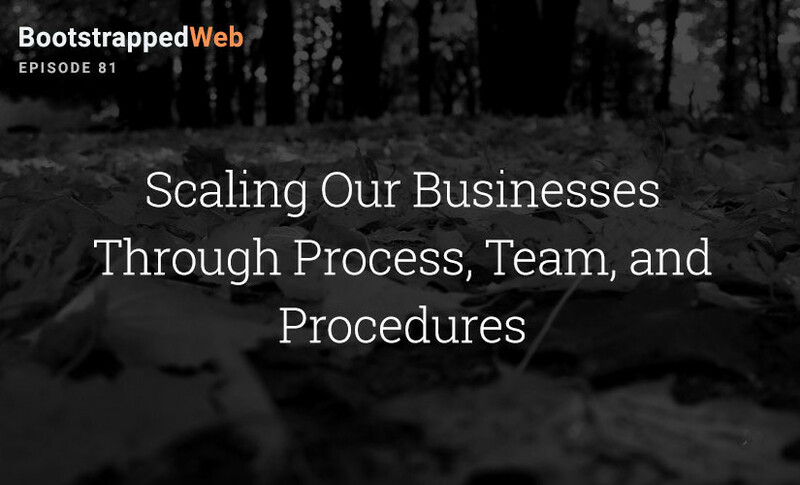 Jordan started by documenting the whole process and assigning tasks to team members. At CartHook, Jordan is still responsible for converting customers from free trial to paid, but can see where that could change in the future. For the time being, pre sales and onboarding is being handled by one person and after the trial begins it then goes to another team member. Jordan believes the owner should not necessarily be the operator at every level and he needs to spend his time in sales and marketing. Brian and Jordan then answer a listener’s question on how to convert a site visitor to a paying customer. They break down the steps involved that center around email and providing more content to those on your email list which will put you in the position of authority in your area of expertise and then in a position to convert those on your email list to paying customers.